Michael Kors Collection shirt dress in georgette. Spread collar; concealed-placket button front. 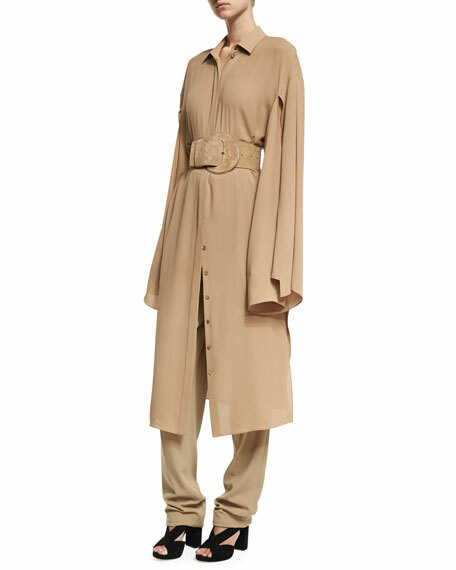 Elongated cape sleeves; slit from armpit to wrist. For in-store inquiries, use sku #2275180.